Just received my copies of a cookbook I shot last summer. 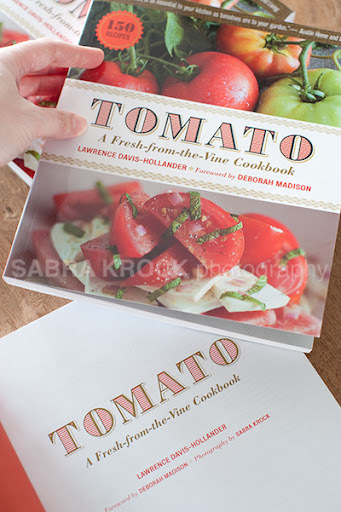 It is a cookbook of tomato-based recipes (even desserts!) from wonderful chefs including Alice Waters and Daniel Boulud. It is wonderful to see it in print! How exciting! 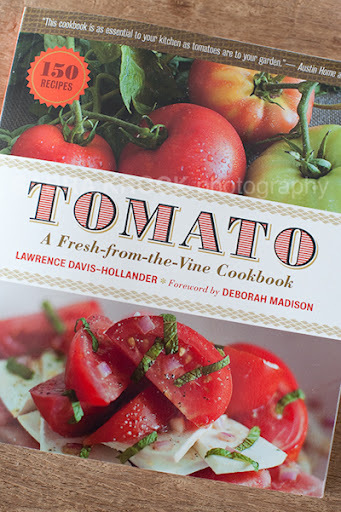 And what a perfect cookbook for the upcoming tomato growing season! Congrats! I've bought more than one cookbook recently just for the great photos. I'll keep an eye out for this. Beautiful! I will have to look into getting this one. We had so many tomatoes in our garden last year that sometimes I didn't know what to do with them. Congratulations! It's thrilling to see your work in print form. Good job! Congrats Sabra. I will order it for sure! Gorgeous - wish we'd had this last summer when Andrew and Lily planted tomatoes in our backyard! Just based on the few pictures I can see here, I'm so drawn in, and excited summer and tomatoes out of my garden are right around the corner. You can be proud of your work. What a pretty compendium of some of the photos for the book. So many tomatoes in the summer that it's going to be a ball having all these to try out. Love, love, love tomatoes. The cookbook looks fantastic! You are such a talented professional, it is wonderful to see your work published! Let me officially congratulate you...I cannot wait to get my hands on this. Congrats on the cookbook!! The photos look excellent! I'll watch for the book! Cheers!! Congrats! 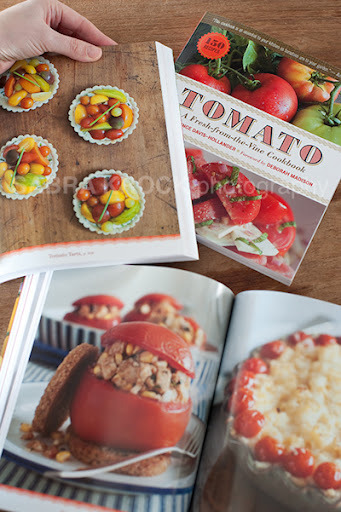 Must be such a thrill seeing your photographs in print in a cookbook:). I LOVE Tomatoes!! this looks like a must have for our kitchen. Have just ordered it from Amazon. Looking forward to the great recipes and photography. So happy to hear this! Congrats Sabra! Can't wait to get a copy!